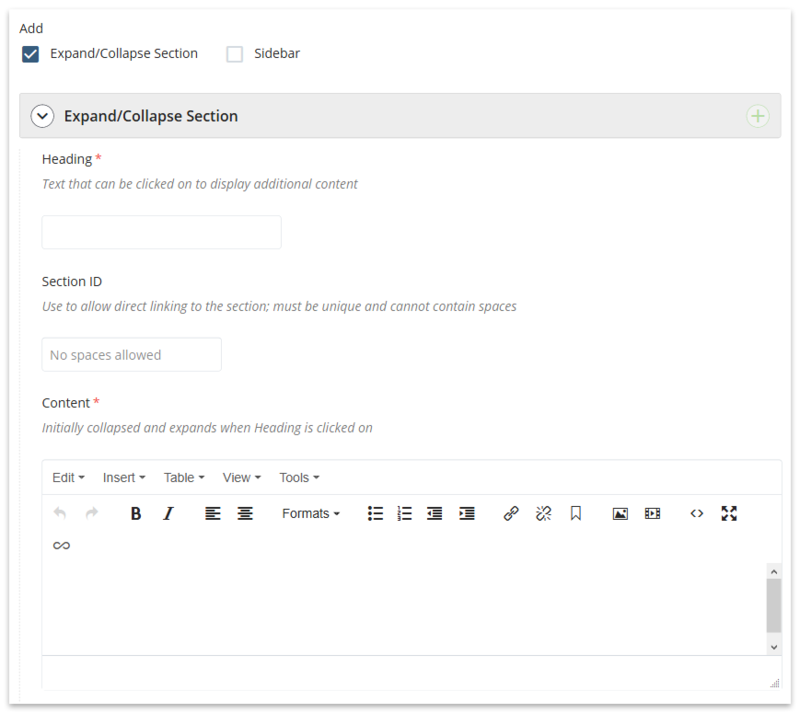 Expand/Collapse is a section of content that can be added to a Content WYSIWYG. Expand/Collapse is a method of organizing content into small, bite-size chunks. Content is initially collapsed (hidden) with a clickable link to expand it. Expand/Collapse lets website visitors scan the headings and dive deeper into the topics they are interested in. Expand/Collapse is ideal for FAQs. Try the Expand/Collapse below to learn more about Expand/Collapse! 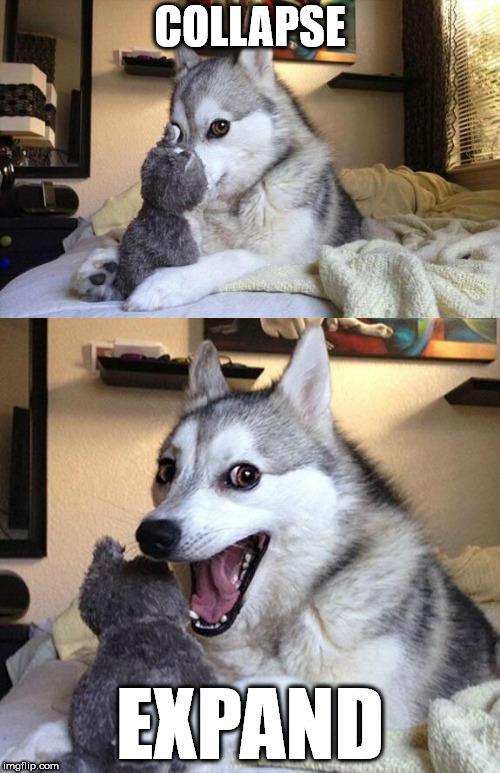 Can I see an example of Expand/Collapse? You're looking at it! The link you clicked on is the heading, and the expanded content is a WYSIWYG where you can place text, images, media, and more. What are some good uses of Expand/Collapse? We've hunted down some of the best uses of Expand/Collapse to give you some ideas. Expand/Collapse in the page edit interface.